In 2017, a scholarship program has been set up by ICE for students from the Faculty of Naval Architecture, Galati University. The program provides students with the opportunity to follow professional technical training and career development programs oﬀered by ICE, plus ﬁnancial support for their studies. After graduation, ICE intends to oﬀer them employment in the specialty for which they have been trained. 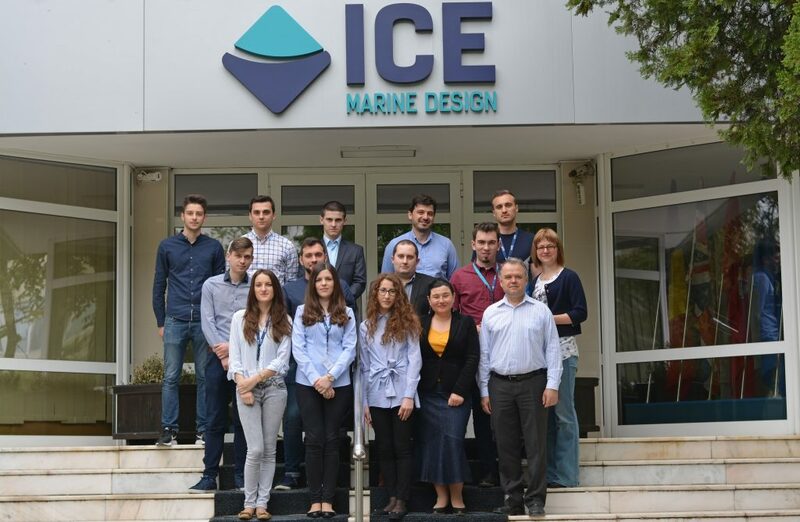 Pictured here are the ten students taking part in this year’s program, together with involved ICE specialists.